Our photographer's best images from Southampton's Carabao Cup defeat to Wolves. Watch back the action as Southampton suffered Carabao Cup defeat to Wolves. Watch our full post-match interview with Mauricio Pellegrino following the 2-0 Carabao Cup defeat to Wolves. Mauricio Pellegrino was left disappointed with Southampton’s performance during their 2-0 Carabao Cup defeat to Wolves. Read our report from St Mary's, as Saints go out to Wolves. Quiz: Saints, Wolves, both or neither? Did they play for Saints, Wolves, both or neither? Watch as Mauricio Pellegrino looks ahead to Southampton's Carabao Cup tie against Wolves. Mauricio Pellegrino is expecting a tough opening Carabao Cup tie against Wolverhampton Wanderers. Get the lowdown on tonight's opponents. Get the lowdown ahead of the Carabao Cup clash. The key stats ahead of Saints' Carabao Cup clash with Wolves. Can you name the Saints squad from the 2007 clash. View our images from Staplewood Campus. Watch the Carabao Cup game in style. Second-half goals from Danny Batth and substitute Donovan Wilson see Saints suffer defeat at St Mary's. Nathan Redmond brings the ball under control, shifts it into space on right of the penalty area and rifles a strike at goal... but it's just wide! We've got four minutes still to play here at St Mary's. Having only just been introduced, Donovan Wilson breaks free and finishes calmly past Fraser Forster to make it 2-0. Sam McQueen gets down the left and sees his cross-come-shot palmed onto the top of the crossbar and behind by Wolves goalkeeper Will Norris. Manolo Gabbiadini and Shane Long replace Charlie Austin and Sofiane Boufal as Saints go in search of a leveller. And it's an immediate booking for the substitute as he makes a clumsy tackle on Sam McQueen. A second change for the visitors. Mauricio Pellegrino makes his first change of the evening, as Nathan Redmond replaces Jan Bednarek. Danny Batth heads in at the near post from a corner put the visitors ahead. Dušan Tadić gets in behind his man and is wrested to the ground inside the penalty area by Sylvain Deslandes, but the referee waves play on. 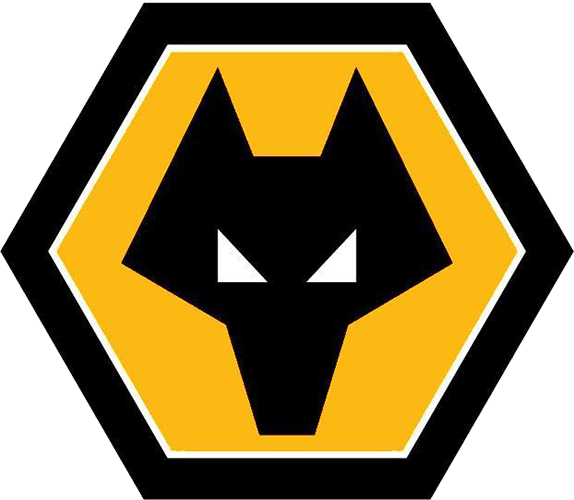 Wolves have come out and really piled on the pressure after the restart, but the Saints defence is standing firm with some good blocks from Jan Bednarek and Maya Yoshida. Charlie Austin searches for the opening goal soon after the restart. First change of the evening for the visitors. The second half has started here at St Mary's. Despite creating a number of good chances, Saints are unable to find a way through before the interval. Wolves counter and Roemu brings down Ivan Cavaleiro on the halfway line to also find his way into James Linington's book. Marshall is booked for a clumsy tackle on Jeremy Pied. Maya Yoshida challenges in the air to power an early header at goal, only for the ball to fall wide of the Wolves near post. Two great chances for Saints! It's the same combination from the free-kick, but this time Jan Bednarek thumps his header goalwards only to be denied by a great save from Will Norris. The resulting corner then finds Jeremy Pied in space at the back post, but his strike is deflected off target and behind. A chance presents itself to Dave Edwards on the edge of the Saints penalty area, but his strike is never worrying Fraser Forster - high and wide! James Ward-Prowse dips yet another free-kick into the perfect spot inside Wolves' penalty area, but Jan Bednarek is unable to make good enough contact with his head. The whole of St Mary's joined together before kick-off to show their respects to Saints' Senior Recruitment Officer Bill Green, who sadly passed away on Monday. Austin picks up a booking for a mistimed tackle on Will Norris, as he attempted to block the Wolves goalkeeper's clearance. Jeremy Pied gets in behind the Wolves backline and one-on-one with Will Norris in goal, but he drags his shot wide of the far post. A great chance for Saints. James Ward-Prowse's corner from the left is met by the head of Maya Yoshida, but he can't quite steer his effort inside Will Norris' near post! Wolves have had two chances to take the lead. First Nouha Dicko cut inside from the left but saw his shot blocked, before he then crossed for Ivan Cavaleiro who had the whole goal to aim at inside the penalty area, but he scuffed his close-range effort. Southampton's Carabao Cup campaign is under way here at St Mary's! All of the pre-match preparation is done and kick-off is just around the corner here at St Mary's! We caught up with Mauricio Pellegrino yesterday to get his thoughts ahead of tonight's game. Enjoy our photographer's best snaps as the players arrived ahead of tonight's Carabao Cup tie. Watch as the Southampton squad arrived at St Mary's ahead of tonight's game. WE WANT TO WIN AND WE WANT TO PASS - AFTER THAT HOPEFULLY THEN WE CAN THINK ABOUT THE NEXT GAME. BUT RIGHT NOW OUR MENTALITY IS TO IMPROVE AND PLAY THE RIGHT WAY. St Mary's is set and ready for tonight's Round Two Carabao Cup tie against Wolves.